When you are looking for a place for sitting outside relaxing, look at Hanging Outdoor Furniture to give you someplace to relax. These five Hammock examples will have different features so that you can make a choice on what will best fit your outdoor space. 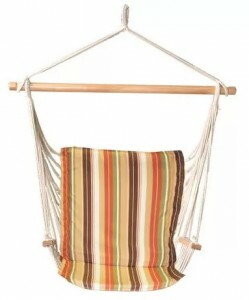 One comes with the frame so that you do not have to have a tree or other overhead object to hang your Hammock from. Separate frames are available for the others at extra cost. The advantage to this kind of seating is that you can take it down easily and store it away when not in use, most people will not leave their Hammock outside for any length of time with out using it. 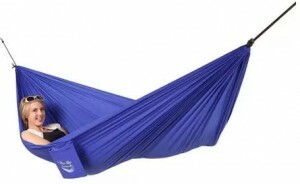 Lets look at your options and see which of these will be the best outdoor hammock for you. The 54 inch wide by 90 inch long fabric will hold a person up to 330 pounds, as with any Hammock, you must have proper support to hold the maximum weight. It comes with an attached carrying pouch and mounting straps for two trees. The mounting straps are made to go around a tree and each comes with an S hook to attach the Hammock. At less than one pound of weight you could easily move this Hammock any where at any time, just need some thing to hang from. This Hammock would make a great Backpack item for your outback hiking. The Wentworth Hammock has the steel framed stand included. If you do not have a tree or other object to hang your Hammock from, this is another option. The brown powder coated stand and the mattress is made from a polyester filled fabric. It comes with a small pillow and a magazine rack at the foot end. When assembled it is 38 inches wide, 91 inches long (material is about 72 inches long) and will be 24 inches off the ground. Sturdy enough to hold up to 500 pounds. This Hammock is attached at each corner so it will not tip when you get into it. If it is left out in the weather the fabric will dry quickly. The metal frame uses spring loaded push pins to lock the parts together, so you can take apart for storage. This traditional Cotton string Hammock will require trees or some other support for use. It does come with S hooks to attach to the support. The cotton material is soft for long sessions of relaxing. It is 59 inches wide and 132 inches in total length (bed size is 80 inches long). It has 1 1/4 inch hard wood bars at each end. It will support 450 pounds, depending on the mounting point and frame or tree. The bed is made of 900 feet of 6 mm cord. If you are looking for a two person rope type of Hammock, this one will be for you. Just pick out your favorite tree and stretch this Hammock out. Can handle 450 pounds if properly secured. It is 60 inches wide and 156 inches long (bed is 80 inches long). Comes with galvanized 12 inch chain and S hook for each end, Total weight is about 10 pounds. The hardwood bars are varnished with a weather resistant coating. The polyester rope is more weather resistant than the cotton rope. The polyester may stretch more than the cotton rope. This Hammock is made to leave outside in the weather. Want something a little different, this outdoor hanging chair can be supported by an optional stand, tree limb or from the ceiling of a porch. Made to be suspended and for the occupant to sit more upright. Cotton green striped fabric with 2 inch foam padding, will be suspended by cotton rope and rods. A single mounting point and weighing only 8 pounds, will make it easy to install or take down for storage. Seat is 24 inches wide with wooden armrest. Will handle 300 pounds with proper mounting. When looking for a relaxing place to sit, I have given you several choices to look at. If you do not have trees or other overhangs, some outdoor Hammock stands are available separately. You will have a choice of outdoor Hammock swings or beds. I hope that your found this information helpful, any further questions or comments please use the form below and I will return an answer shortly. There’s nothing like a tradition hammock hung from a tree for pure outdoor relaxation. I really like the Polyester Rope Hammock because it’s size and weight capacity can handle two people. I also like that the bars and the polyester rope are weather resistant for the summer rain. Just looking at that hammock makes me long for lazy summer days! The summer fun is just around the corner. The polyester will allow you to leave it outside if you wish. I take mine down after each use an have a quick connect to install and remove it quickly. 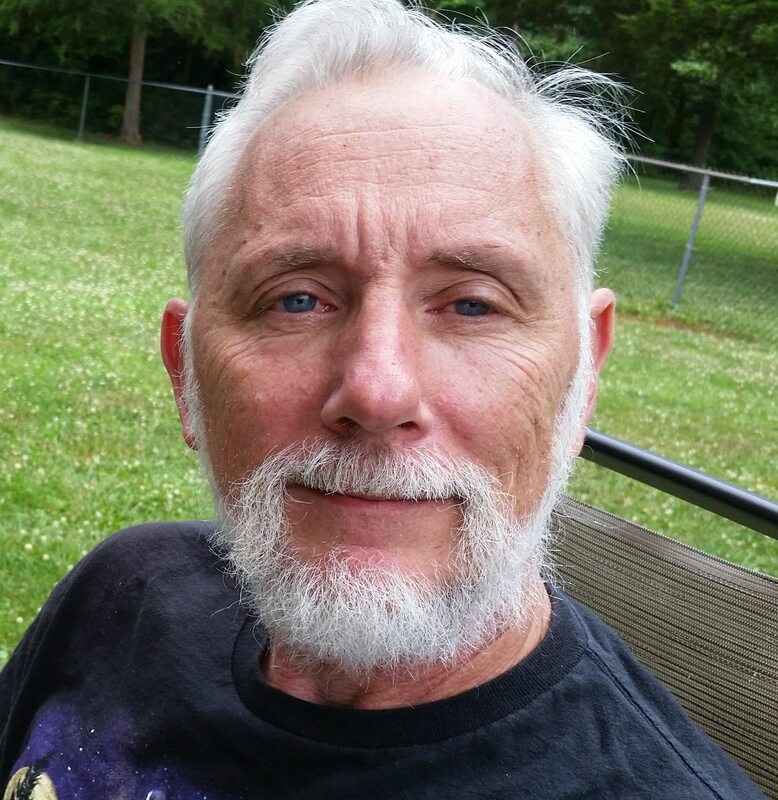 I live on Cape Cod about 300 steps from the beach and I absolutely love laying on my lawn chair on a hot summer day with the warm ocean breeze relaxing me. I was considering adding a hammock to my outdoor furniture collection. I love the classic look of the polyester rope hammock and will more than likely buy one on your site.The blue sky hammock looks like a more comfortable choice though. I also like that it is portable and easy to take along on a nature hike. In your opinion, which one would you say is more comfortable? The pressure points of the rope Hammocks will be a little more uncomfortable than the Blue Sky. The rope Hammocks will be more open and you can leave it hanging out in the yard. Again it will be what you are comfortable with. The Blue Sky can be an advantage if you do any trail camping. I love the hammocks and hammock chair! We don’t have much in the way of opportunity to hang a hammock from a tree, but maybe we could install some posts to do the job. Meanwhile, I loved seeing the Wentworth Hammock with the steel frame! We could easily set that up on our patio, or cement pad outside our house, or even on our porch. And it could even double as a sleeping area when we have visitors. 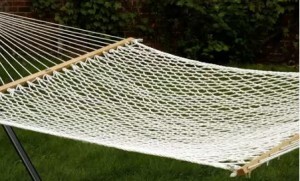 Each style of hammock will be available with a stand. The Wentworth would be great for extra sleeping. 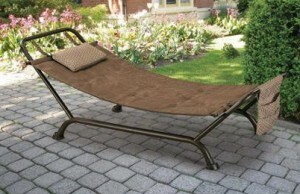 With a pillow built in and the stability of the four corner attachment will give this hammock a bed like feel. The dog will be eager to jump up and take a nap on this bed. With the four corners of attachment it will not rock when the dog get up on it. i’m glad i saw this post here john, i need to look for a new hammock. springs not far away and my last one snapped. i like the polyester rope hammock the best, will go for that one! Spring is just around the corner. The polyester rope hammock will be a great choice. You will not have to worry if it is left out overnight. If you do not have any trees, stands are available. Before long all of us will want to be outside laying on a Hammock looking at the blue skies with our eyes closed. Awesome! !switch from tent to hammock for a joyful experience. its more comfort. These are great for camping trips. Some are small enough to backpack with and give you a nights sleep off of the ground. The hammock seat is a great way to relax without the effort of the swinging hammock. If you like to read the upright position is a lot more comfortable. Its really nice. This page contain a huge amount of material. I think it would be more and more effective for all. Personally I like this job. Thank you for sharing. Personally I have only owned a regular Hammock, the chairs look very comfortable. They would make a perfect solution to a smaller space, like a front porch.